The Flexible Magnetic Insect Screen is comprised of a perimeter framework constructed from flexible magnetic material which supports the mesh. The Flexible Magnetic Insect Screen relies upon a magnetic attraction to provide fitting and structural integrity and to seal the open window or sunroof opening from insect entry. 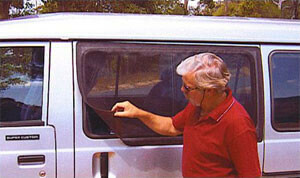 The Flexible Magnetic Insect Screen is made to a size and shape to encompass the vehicle window frame. Framework: Flexible magnet manufactured from synthetic rubber 0.8mm thick and impregnated with ferrite powder. 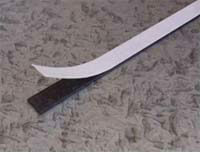 Can be rolled into a cylindrical shape with an inside diameter no smaller than 40mm without cracking. Typical frame width: 35mm, but may be varied subject to the requirements of the installation. Mesh: A flexible fly screen which provides an effective barrier against insects and can be folded without leaving a permanent crease. Material is woven polyester—PVC coated. If your Flexible Magnetic Insect Screen is to be installed on an alloy surface or any other non-ferrous surface you will require a flexible magnetic sub-frame (refer to FAQ's). The sub-frame is supplied with an industrial grade double-sided tape already fixed to the flexible magnet. Just peel away the backing paper and install the sub-frame - too easy! 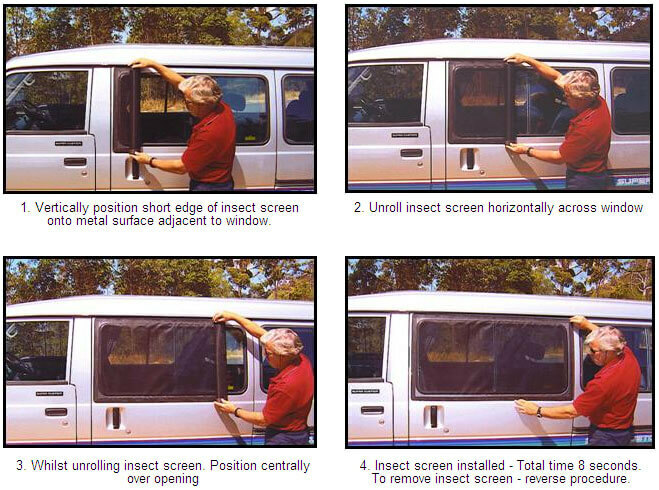 Your flexible Magnetic Insect Screen then magnetically attaches to the sub-frame. The length of sub-frame magnet that you require will be the sum total of the outside perimeter of your Flexible Magnetic Insect Screen. viz: for a screen 120cm wide x 65cm deep you will need 2 lengths x 120cm plus 2 lengths x 65cm = 370cm. Notice: To protect our intellectual property, our insect screening innovations are patent protected.